The Oscars is the Super Bowl of the awards season for celebrities and their stylists, and this year was no exception! From Lady Gaga and her $128 million necklace once worn by the queen of Hollywood glamour herself, Audrey Hepburn, to Crazy Rich Asians' star Gemma Chan in right-off-the-runway Valentino, the night was a fashion showstopper. Here are the stars who took home our award for "Best Dressed of the Night." ...Read more. Red carpet season officially kicked off this week with the 70th Annual Emmy Awards! Our favorite stars were in the mood for romance in ethereal gowns. Pink was a popular color choice, from pastel to magenta. We also saw monochromatic looks in white and always-sophisticated black, plus a number of plunging necklines that left little to the imagination and more elegant strapless gowns. To be honest, more celebs made our "what were they thinking when they chose that" list than our best-dressed... However, at MSL we prefer to focus on the positive, so here are the ladies on our best-dressed list. ...Read more. 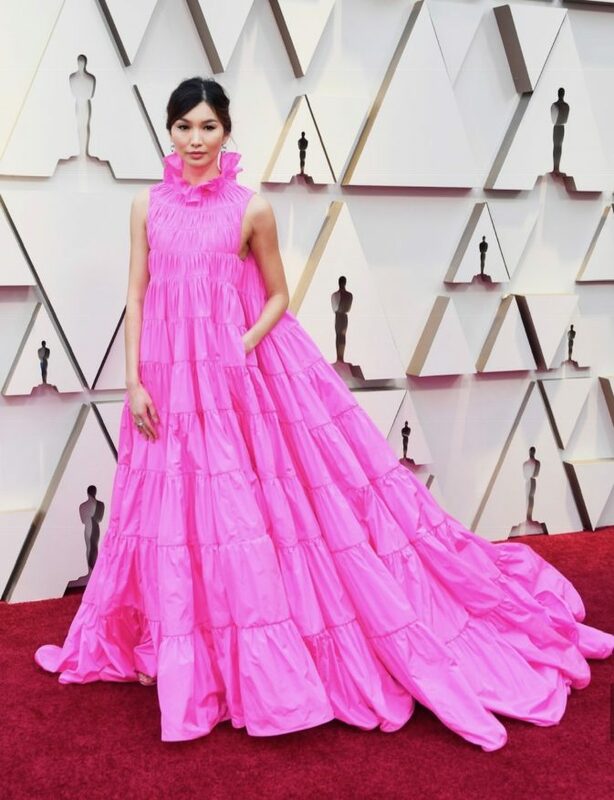 Last night at the Oscars, Hollywood royalty floated down the red carpet in a rainbow of colors -- a complete turnaround from the sea of black at the Golden Globes. We also saw our fair share of golden goddess gowns and ethereal dresses fit for a princess. My personal number one had to be Jennifer Garner (fun fact: she's also my birthday twin!) in her stunning cobalt-blue Versace gown -- she positively glowed and stole the red carpet. And, Nicole Kidman was ready for the paparazzi in her structural, yet utterly feminine, sapphire-blue gown by Armani. I love that the red carpet was optimistic, vibrant and awash with vivid ...Read more.